Please complete the form below and your enquiry will be sent directly to Cliff Lodge via email. 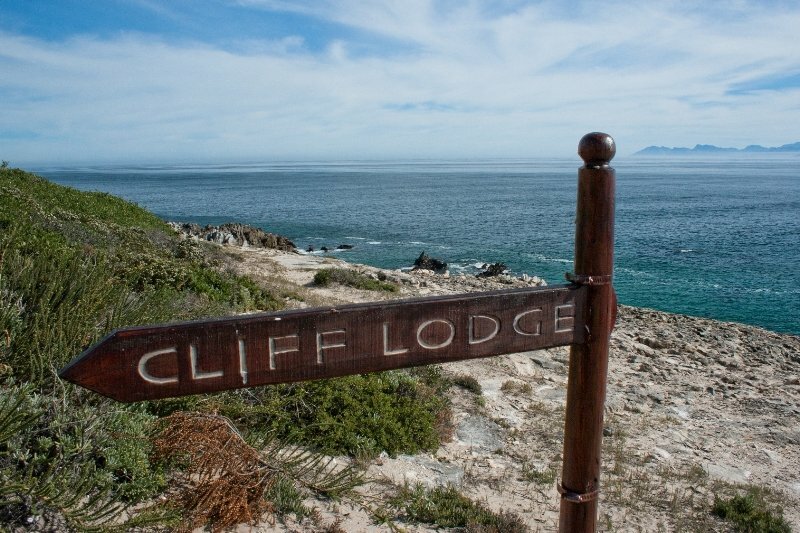 Your enquiry has been sent to Cliff Lodge. 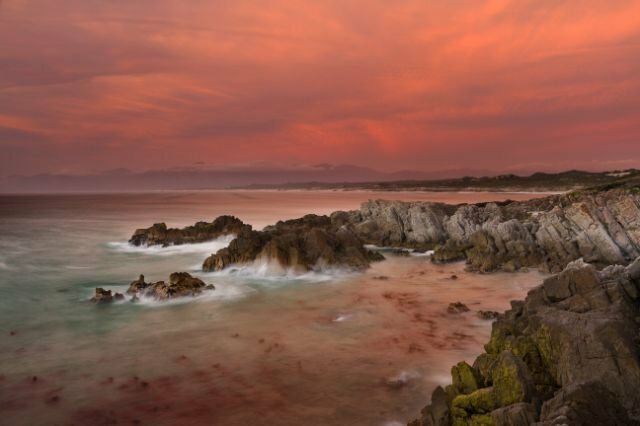 Located on the cliffs of De Kelders in Gansbaai, Cliff Lodge is a luxurious guest house with a distinctive boutique-hotel like feel. 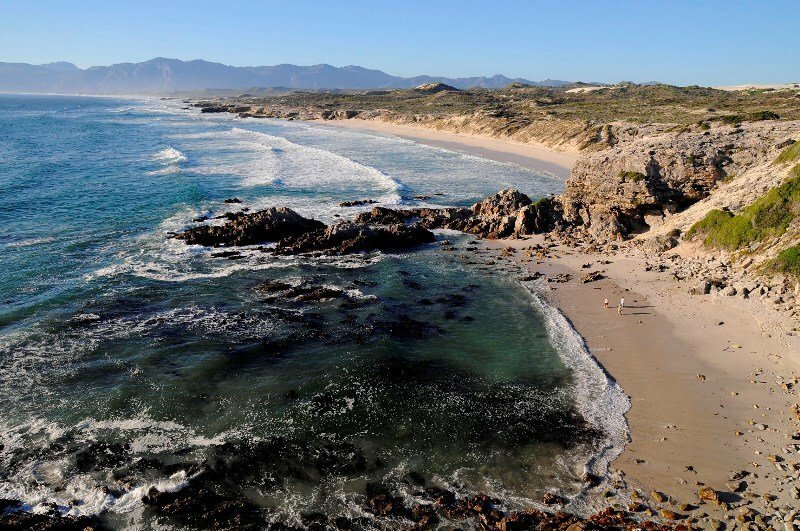 Enjoy one of the best views that Gansbaai has to offer from this exquisite accommodation destination where you can see as far as Cape Point on a clear day. 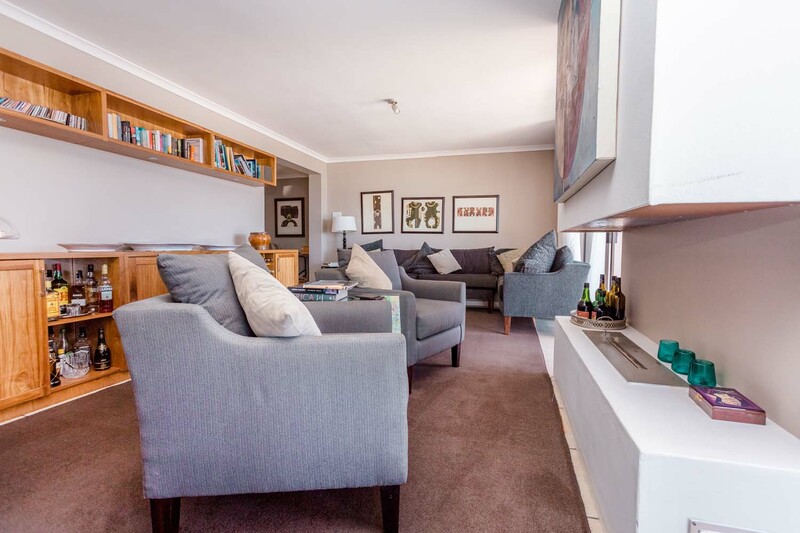 Cliff Lodge is the perfect stop for anyone looking to relax away from the hustle and bustle of daily life. Lounge about in one of the five luxurious guest house rooms that are all elegantly furnished. 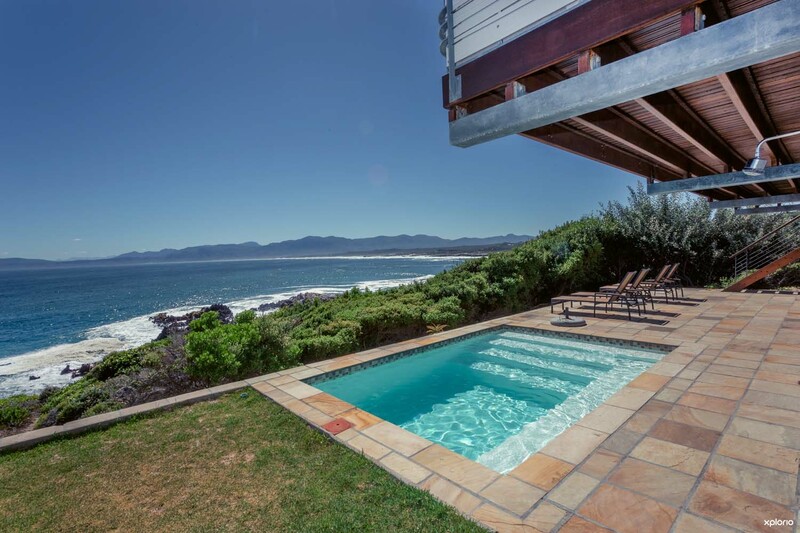 Moreover, the lodge also offers a three bedroom, beach-house like, open-plan, Cliff Lodge Cottage that is beautifully designed and thoroughly equipped with all the bells and whistles. 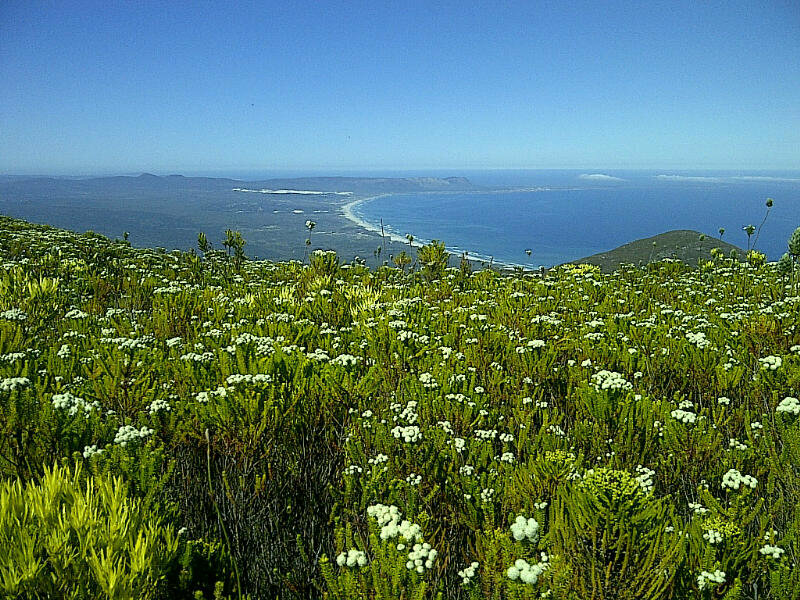 The cottage is both B&B or self-catering which allows the tenants of the Cliff Lodge Cottage to craft their own meals or join in on a sensational homemade breakfast. Cliff Lodge can host up to 14 guests at a time. 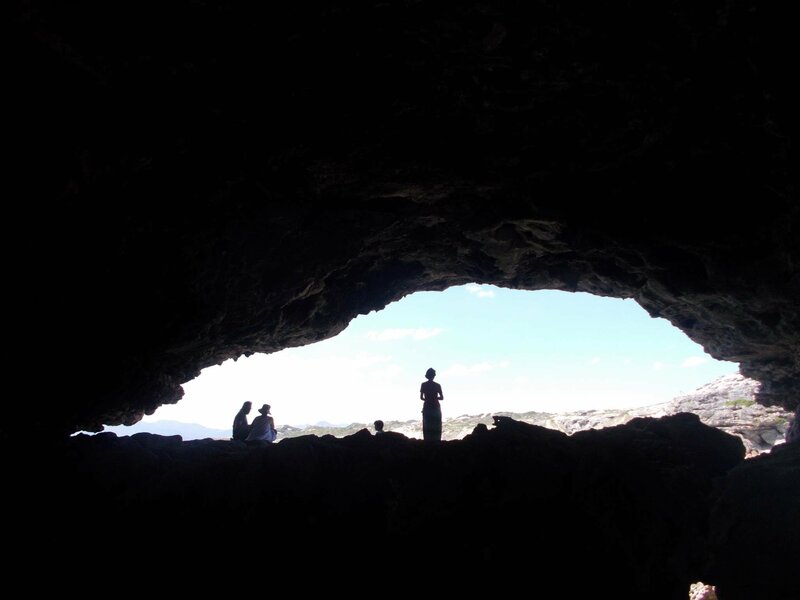 Click on ‘More Info’ below to find out more about the Cliff Lodge. It was love at first sight when Gill O’Sullivan and Gideon Shapiro first saw the property that would become known as the Cliff Lodge. 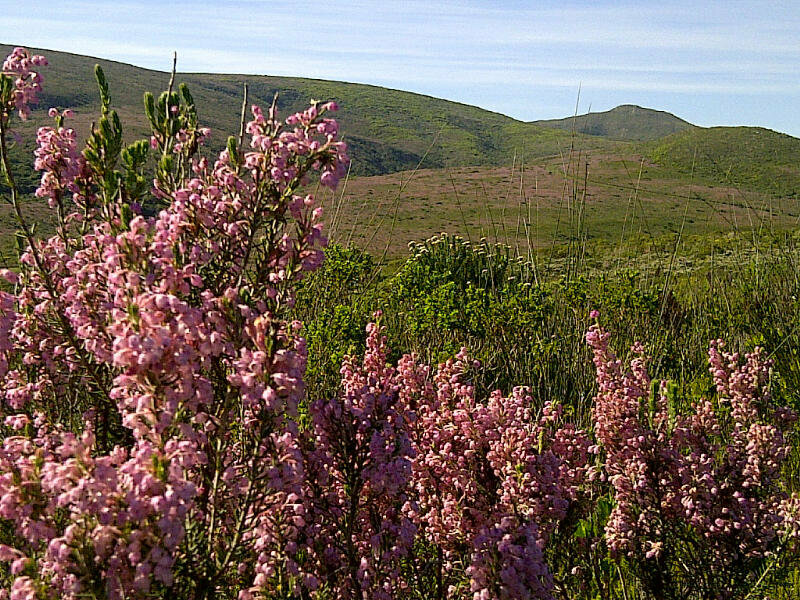 Opened in 2000, the Lodge has become a traveler’s paradise with guests often returning year after year. 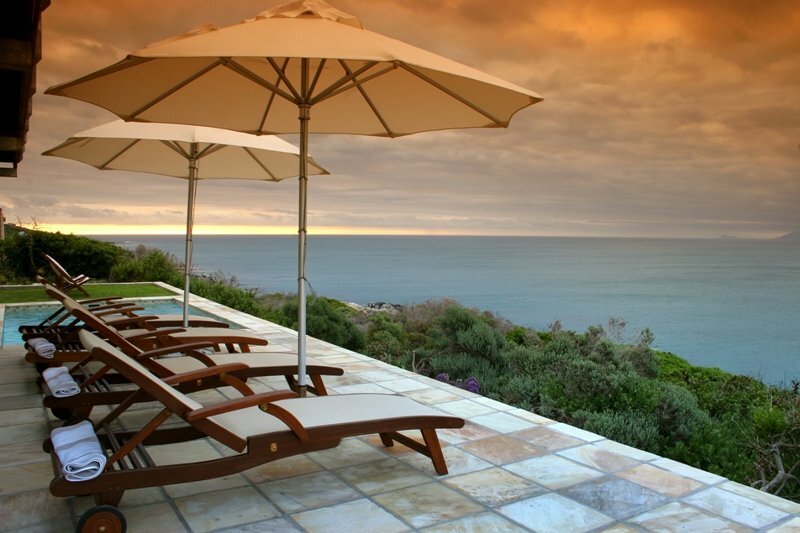 The staff and owners of Cliff Lodge strive to make every guest’s holiday experience as pleasurable and as relaxed as possible. The charming and helpful staff are always willing to help plan your day, from morning yoga on the beach to a late afternoon shark cage diving trip. 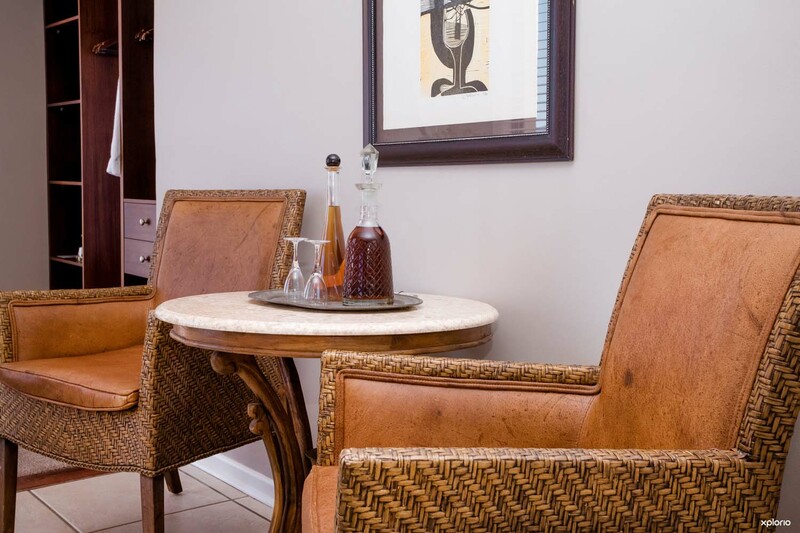 The rooms at the Cliff Lodge are all tastefully decorated and will have you melting in comfort. 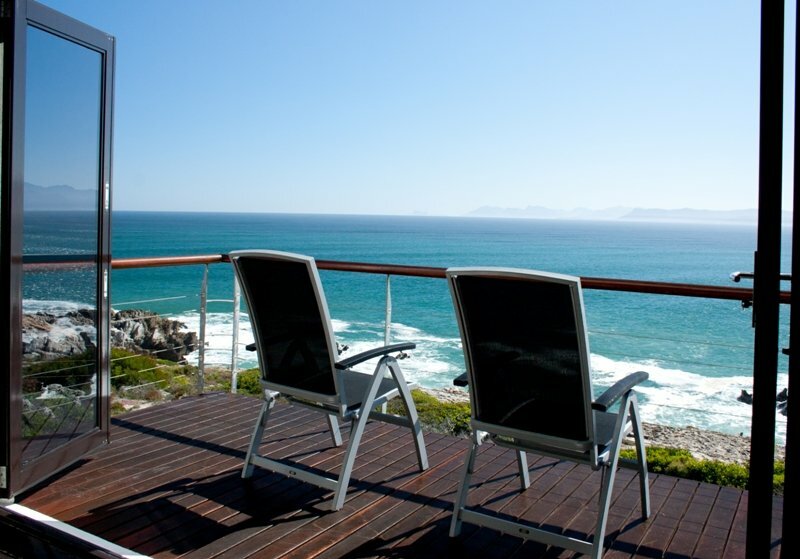 This luxuriously spacious suite has spectacular panoramic views of the ocean and is perfect for a romantic holiday or honeymoon. It has a bedroom, lounge and a private balcony. The bedroom has a gorgeous king-size bed and an en-suite bathroom with a unique his-and-hers bath, shower, basin, and toilet. 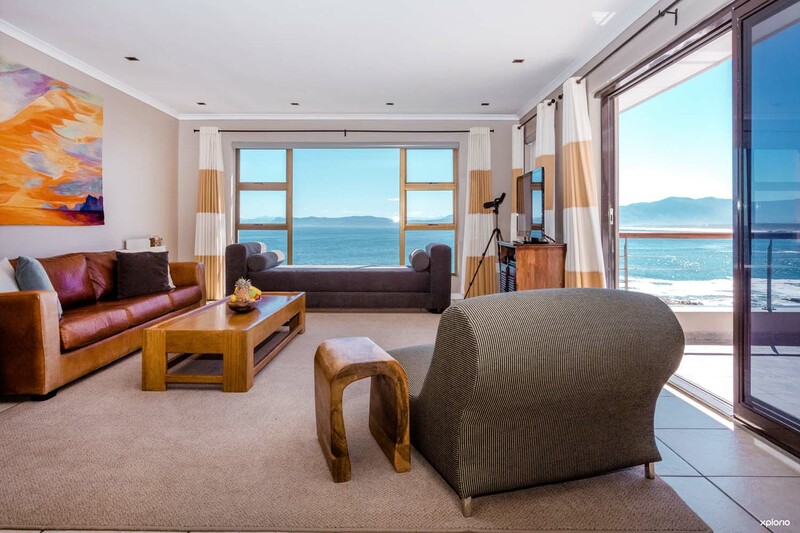 This spacious room boasts magnificent views of Walker Bay and has its own balcony.The room has the option of having a king-size bed or twin beds and has an en-suite bathroom with a bath, shower, basin and toilet. 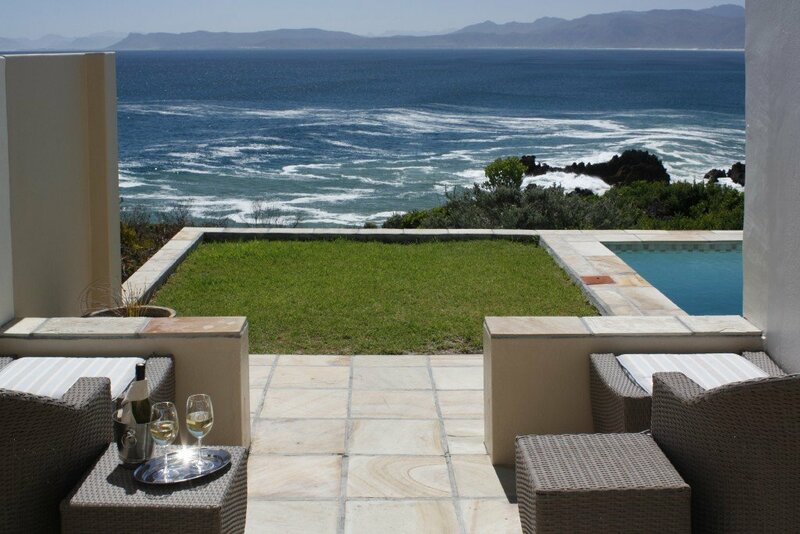 This lovely room has a wonderful outside patio area that overlooks an aloe garden and the ocean. The room has the option to have a king-sized bed or twin beds and the en-suite bathroom has a large shower, basin and toilet. 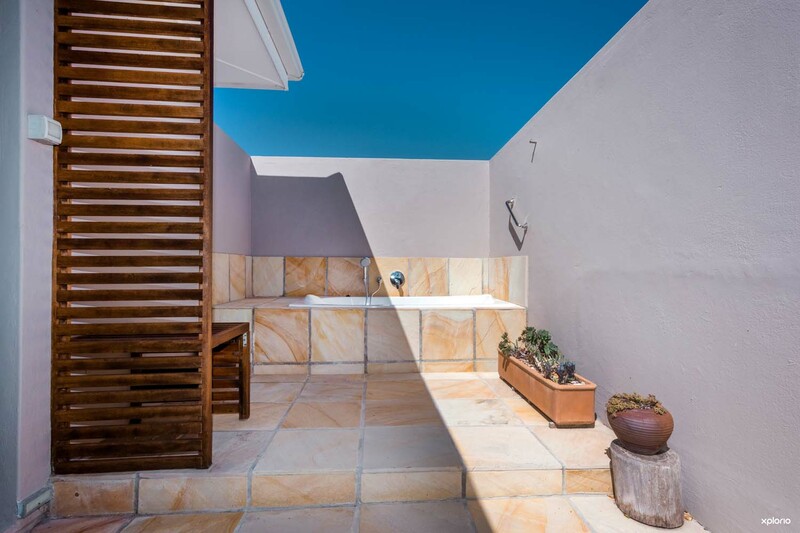 This stylish room has a wonderful outside patio area that overlooks an aloe garden and the ocean.The East Room has a unique private outdoor shower which will take stargazing to a whole new level. 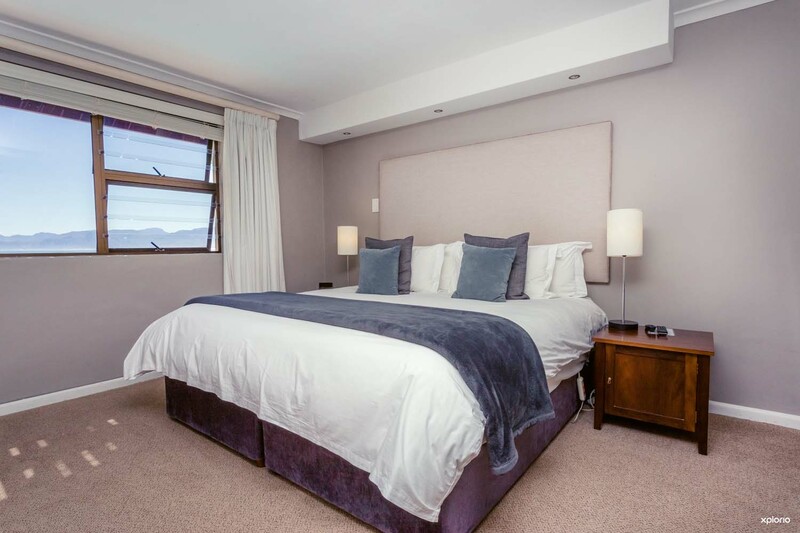 The room has the option of having a king-size bed or a twin beds and has an en-suite bathroom with a bath, basin and toilet. Right next to the pool area outside and downstairs of the guest house, this room is located on the lower level of the Lodge next to the swimming pool. The bedroom has comfortable armchairs and the option of having a king-size bed or twin beds. The en-suite bathroom has a shower, basin and toilet. 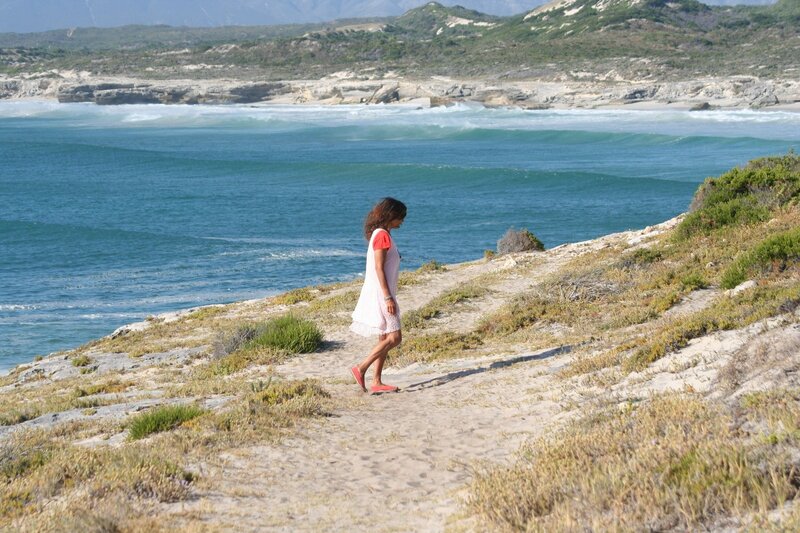 This self-catering cottage has a beach house like atmosphere and is located right next door to the main Lodge. 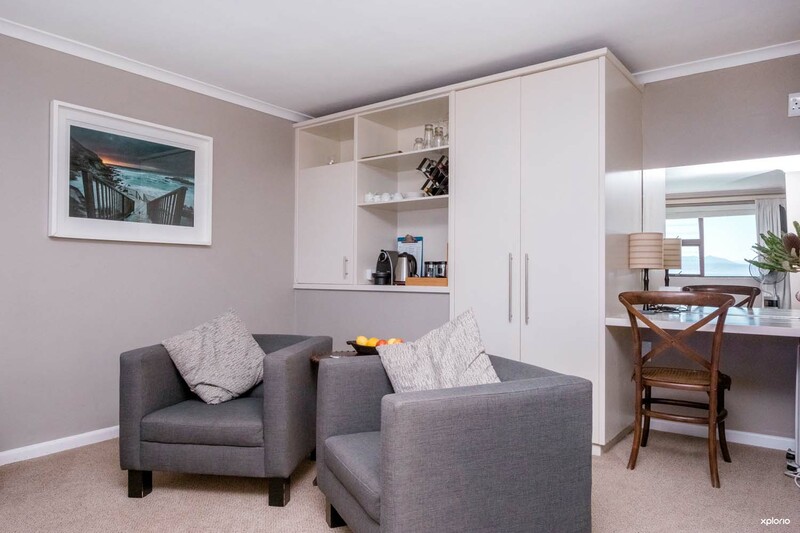 The open-plan living and kitchen areas are tastefully decorated with all the furniture and equipment you will need to make your stay comfortable. 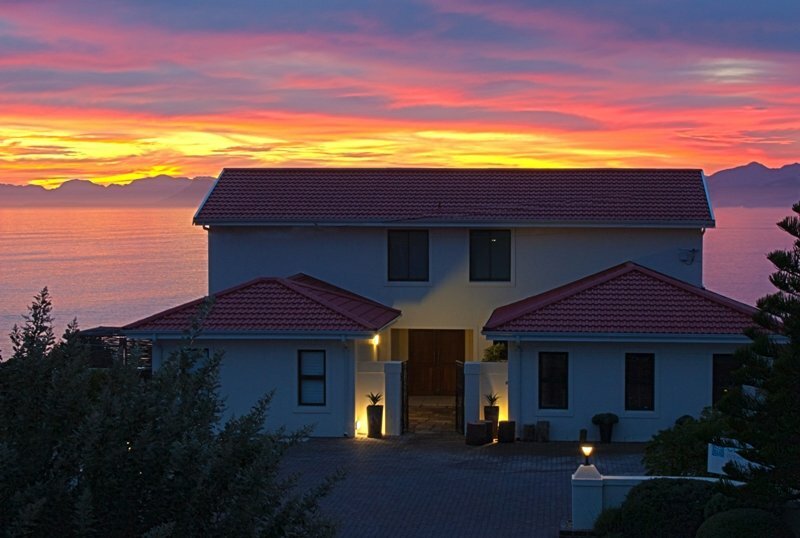 There is an indoor fireplace in the living area which leads to a spacious wooden deck that has a dining area and an outdoor braai where you can absorb the spectacular view of Walker Bay. 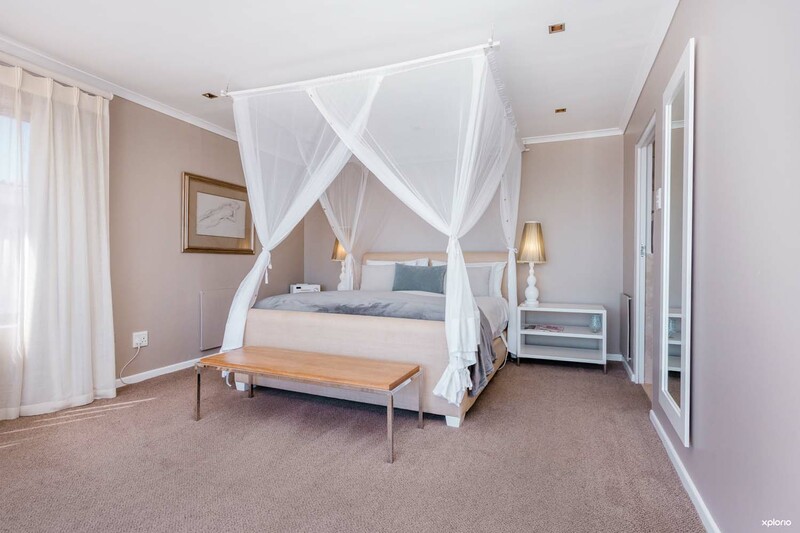 The cottage has three bedrooms that all have the option of having either a king-size bed or twin beds and can accommodate a total of six people. 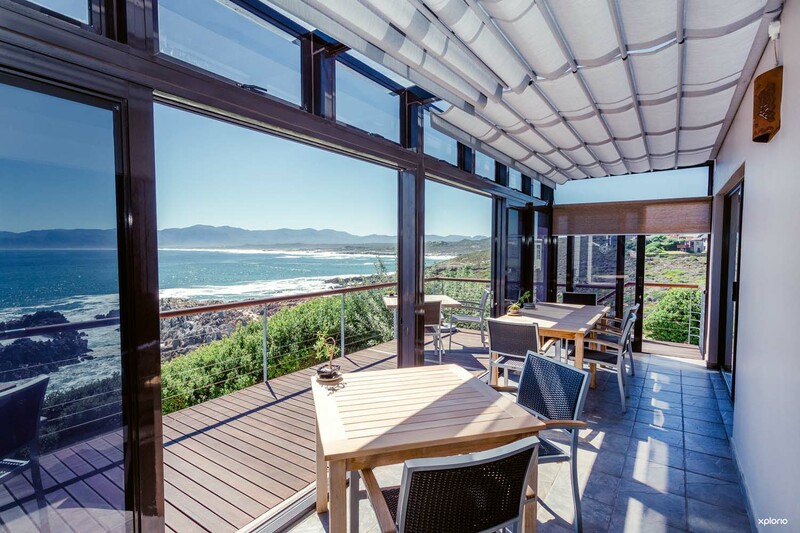 The master bedroom has a spectacular view of the ocean and has sliding doors that lead out onto the deck. There is an en-suite bathroom with a spacious shower, basin and toilet. 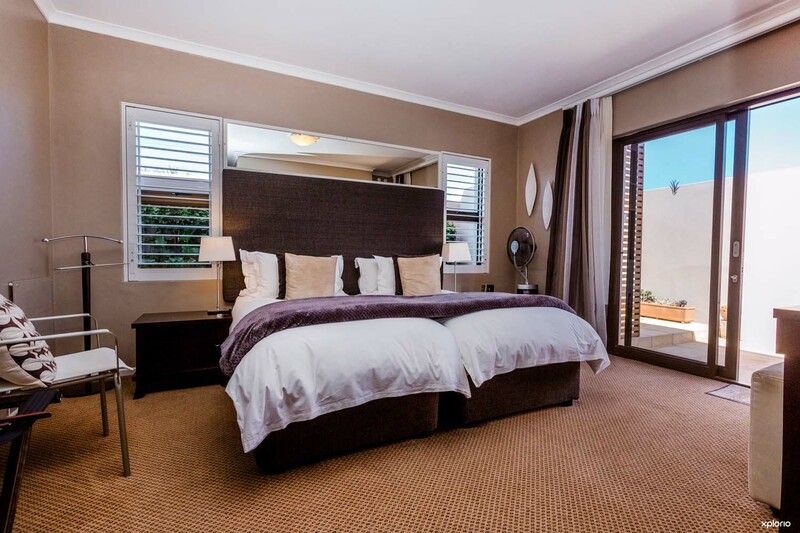 These two bedrooms do not have sea views but are just as comfortable as the master bedroom. 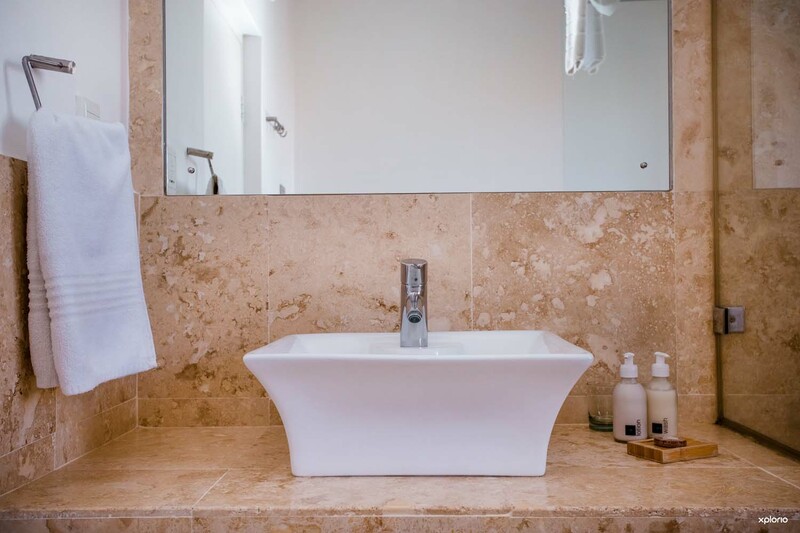 The rooms share a luxurious bathroom with a bath, large walk in shower, basin and a toilet. Cliff Lodge is a partner in the Trees for Tourism Program.